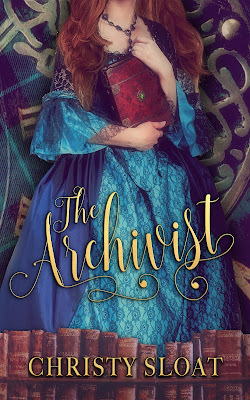 Two Chicks On Books: Blog Tour- THE ARCHIVIST by Christy Sloat An Excerpt & Giveaway! Blog Tour- THE ARCHIVIST by Christy Sloat An Excerpt & Giveaway! Hey everyone! I am thrilled to be hosting a spot on the blog tour for THE VENERATE ORDER by Troy Dukart! 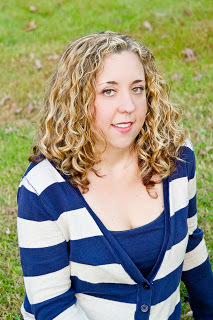 I have an interview with Troy to share with you today! And make sure to enter the giveaway below! Haven't heard of THE VENERATE ORDER? Check it out! The most important research was kept inside the blank pages of a book. Each mission yielded a new book. Once that book was full and our mission complete, it was sealed. I’m a Librarian, but not in the typical sense. I haven’t earned the proper diploma to get such a title. I, along with many others throughout the world, preserve the history of some of the most famous historical figures inside the blank pages of each book we are sent. The Librarians was founded by a famous scientist, Harold Lockhart. Lockhart wrote the formula for time travel in the only thing he had near him when it was fresh in his brain. That book wasn’t empty, it happened to be the history of none other than, Abraham Lincoln. After he wrote the formula, he was whisked away in time and came face to face with Lincoln himself. The talent to travel and record history was never his intention, but after he realized how wrong historians were about the president, he created the group of Librarians. Lockhart put us in charge of libraries and their books. The sect of Librarians were given their jobs and they went to work straight away. I myself hope to achieve the goal of working in a library with the official title someday, which is what I’m studying in school. My intention is to host my own library and help archive important time periods through my research as well as artifacts, like my grandma did. Like all the women did who came before her. All I know about my job before I travel is who I’m to research. Everything else is learned while I’m inside the book, or in other words, the past. I’m forbidden to change history by becoming involved in the past or with my target. But I can become friendly with them and immerse myself in their world. It’s hard not to become part of it. While I’m there I am more than just a girl recording the true history. Grab the companion book THE LIBRARIAN now! The cover is beautiful. The premise is really fascinating.